Runs at 3000mhz stable, looks good! This some pretty RAM. All I can say. Good, tidy looking RGB RAM that didn't cost me any limbs. Combined with the AURA sync compatibility very happy with it. One of the best looking white colored RAM brands you can find. Has great color controls with Asus AURA software, I only wish there were more white color options from the Asus's software. Great RAM. Looks nice and speedy. These look great and function very well. 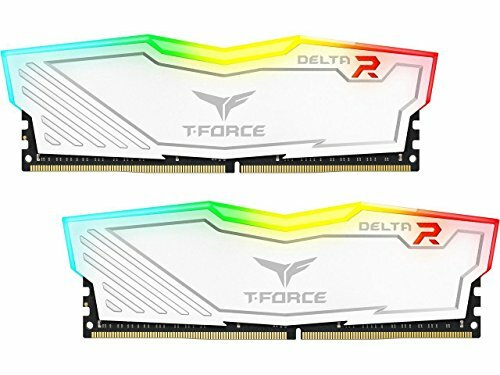 Was the cheapest DDR4-3000 kit with a white heatsink and RGB at time of purchase. Have it at 2667 right now due to CPU constraints but it is working well. Also the RGB works with MSI Mystic Light with no issues. Great looking kit of RAM that seems to perform very well.